Grateful to have Ashlee' Perry here today. 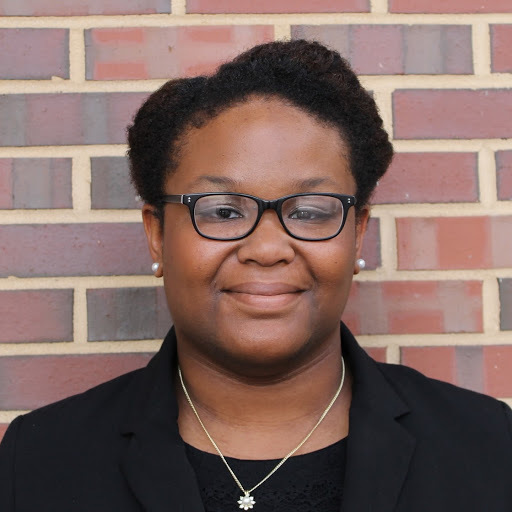 A courageous writer and serious student of the Word, Ashlee humbly shares devotional posts and thought-provoking questions focused on Scriptural truth over at her blog, The Maze. No, I’m not talking about Steve Jobs here. Our jobs are our primary source of income. With it, one is able to financially provide for the needs of one’s family, to buy necessities and pleasures of everyday life. Jobs are great, awesome, and the Bible specifically speaks and command us to work, because a laborer is worthy of his wages (1 Timothy 5:18) and if we don’t work, we won’t eat (2 Thessalonians 3:10). Working is a part of life, being commanded by God for us to do since the Creation and the Fall of mankind (Genesis 3: 17). There’s nothing inherently wrong with work, but good things can also become our idols. Since May 2015, I have been in search for a full-time job. Although I love writing, and would one day hope to become a full-time writer, at this point in life, I know that isn’t possible. Every day for eight or nine hours, I alternate between job hunting and applying for jobs, which takes up most of the day, and exercising for breaks. With this day to day pattern, and with the constant reminders of the need of income looming around me, it’s hard not to obsess and idolize having a job. When working becomes an idol, we begin to neglect the things God has stewarded us, placing that thing above God. When you think of stewardship, most Christians think along the lines of money, but actually that’s only the tip of the iceberg. Stewardship goes far beyond giving money to a charity that you like, or volunteering for a weekend with underprivileged children. Biblical stewardship is our acknowledgment of the various gifts and talents that God has graciously given to us, and using them in such a way to give Him all the glory. 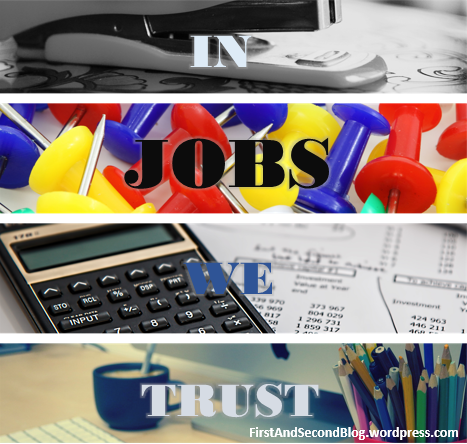 With our jobs and time we spend with our jobs, how well are we being a steward? When things are out of order, and when we have our priorities out of balance, work can become an idol. 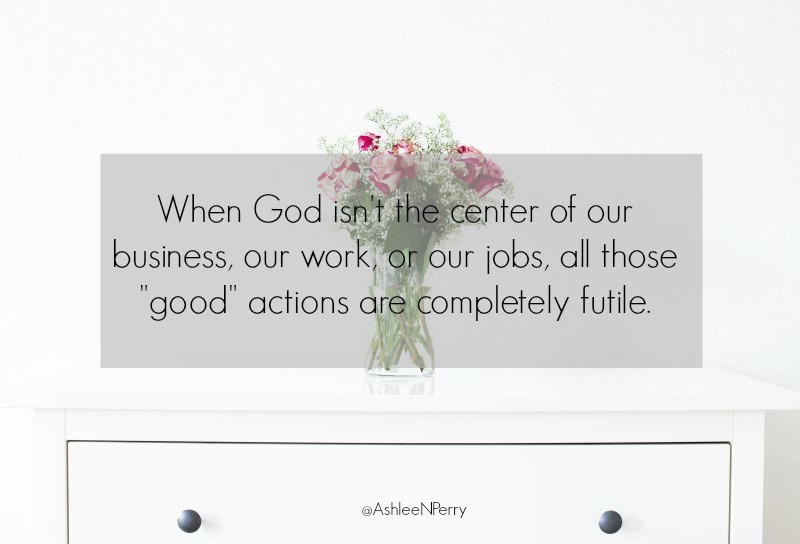 When God isn’t in the center of our business, our work, or our jobs, all those “good actions become completely futile. Stewardship without the presence of God is just good works. By trusting in our jobs or talents over the One who gave us those skills, we’re in a sense demoting the power of God working in and through us. We’re creating for ourselves another “god” and placing it before the One True God. It’s easy to fall into this trap, whether it is with our jobs or personal life. We place our value and worth into those things, when actually, they can be swept away from us in any given moment. As Christians, our validity isn’t found in what we have or the job we possess. Our validity is found only in Christ. Proverbs 16:3 gives strong words on what happens when our work is done to glorify God – our thoughts are established by Him. This isn’t saying that whatever we want, God will give it to us like a genie we make wishes to. I’m actually saying the opposite here – by submitting our will to God’s will, whatever He desires for us will be accomplished, for our good and for His glory. Our purpose isn’t defined by our job, title or position; it’s defined by our reverence and trust in God (Ecclesiastes 12: 13&14). So, where does your trust lie? Is your trust rested in the things that you possess and can obtain, namely your job, money, or resources, or does it rest in the redemptive work of Jesus Christ on the cross? Previous PostDo #LivesMatter to God? I often contemplate how in life we need to balance the good things that can become idols when we focus on them and put them before God. I’m visiting from Women With Intention. Great point, Valerie! Balance is key here. Thanks for stopping by! Really great thoughts here! Even after working steadily for 10 years, I still struggle with the thought of changing jobs- to something more in line with my calling even if it means less money- thus making my paycheck my “security” idol instead of God. It’s a daily surrender to trust in God and His timing and will ♥ Blessings on your job hunt! I’ve always loved this verse: May the favor of the Lord our God rest on us; establish the work of our hands for us– yes, establish the work of our hands. ~Psalm 90:17 ♥ Visiting from #sittingamongfriends today! Lovely to meet you! Love that verse, Heather! Yes- putting our trust in God alone and not in the paycheck is so scary. But His provision is perfect- be it through a current job, a new one, or something entirely different! Great encouragement for balance here, Ashlee!